Main Token Sale Now Active! A peer to peer property platform where individuals can buy, sell, and rent a property directly online without the need for an estate agent. Earn more ANN tokens for participating in our bounty campaign. Participants will only earn ANN if their involvement is of high quality and if the work completed gets engagement. View the list of ways you can get involved below. We are in need of translators to convert our whitepaper and three pager to French, German and Hindi. Write a post about ANN and link it to our token sale website and Telegram. 1,000 views : 5,000 ANN (125 GBP ~ 150 USD). 10,000 views : 50,000 ANN (1250 GBP ~ 1,500 USD). Create a YouTube video describing or reviewing ANN and the ANN token sale, post it, and earn ANN for views. Only send the most updated view count when it hits each viewer tier milestone. On your telegram, add the word “Agent Not Needed” behind your name. Eg, if you telegram id is “Elisha”, change it to “Elisha - Agent Not Needed”. Download the photo from: https://www.agentnotneeded.com/email/avatar.png and make it your profile picture. Create a blog post describing or reviewing ANN and the ANN token sale. You will get paid depending on the amount of page views you receive. Post your blog post and only send the most updated view count when it hits each viewer tier milestone. Win ANN tokens for competing in our competitions! Each competition will include different activities to win tokens such as answering questions in our telegram group, finding secret words on our social media, telling us about your dream house and more! Each competition activity will have a different ANN token reward and there is no limit to how many times a person can win. If the activity is on our social media page, you must like/follow our page to qualify. To win you must be the first person to answer correctly, unless otherwise stated. Newsletters will go out before each competition so you will have plenty of time to get in on the action. 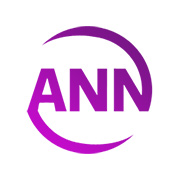 Competitions will run for one hour each time and in that hour there will be multiple chances to win ANN tokens! The Loyalty Corner is a way of saying thank you to the top three contributors weekly on each of our platforms, your name will be shown in our newsletter and on this page of our token sale website. You will win ANN tokens for being one of the top three contributors of each platform. To be included in the Loyalty Corner, you must be active and be interacting the most on any of our platforms. You can be a top contributor on more than one platform. Posts should be longer than one word and more than “nice project”, “good project”, etc. Emoji/Stickers/Gifs are NOT classed as an interaction. No limits to how many platforms you can be top contributor on. Sharing our Posts count as interactions. Commenting and starting discussions count as interactions.